Of course, these are just a few. Our very best recipes, from our family and our entire community, can be found in our cookbook! How many lobsters do I need? What is the difference between a hard shell lobster and a soft shell lobster? How long can I keep my lobsters before cooking them? How do I store my lobsters before I am ready to cook them? My lobster has only one claw, and there is an unattached claw in the bag, what happened? Will you cook my lobsters for me? How should I cook my lobster? What tools do I need to eat lobster? What is the green stuff in my lobster? What is the bright red waxy stuff in my lobster? Of course this depends on a lot of factors. Just as a guideline, you could serve two small (1 lb.) or medium (1¼ lb.) lobsters per adult as a main course. You could serve one large (1½ lb. or larger) lobster as a main course. Or skip the sides and dessert, and add a lobster! A soft shell lobster is a lobster that has, as a normal function of its growth, shed its shell. This tends to happen sometime in early- to mid-summer. Most soft shell lobsters have typically become hard shell by November or December. During this period, known as soft shell season, hard shell lobsters are still available (though less plentiful). Soft shell lobsters generally contain less meat per pound than hard shells, though that meat is a bit sweeter and more tender. Soft shells are not recommended for travel, nor can we ship them, as their life expectancy is a much shorter out of water. It’s always best to get your live lobsters the same day they are going to be cooked. Once out of water, hard shell lobsters have a life expectancy of 24 to 36 hours, and soft shells can live anywhere from 2 to 12 hours. Obviously, these are estimates, not guarantees. The important factor in keeping live lobsters is temperature. We recommend that the lobster be stored in the crisper drawer of your refrigerator. If your lobster was shipped, or packed to travel, you can use some of the seaweed in your package to cushion and cover the lobsters. Optionally, you can add a small damp cotton towel to the drawer to keep the environment moist (not drenched). Under no circumstances should you place the lobsters in standing water of any kind. As a defense mechanism, Lobsters can release or throw their claws (and also grow them back). Most likely, the lobster dropped its claw in transit. You may cook and eat the claw (make sure it has not spoiled) as though it were still attached. Yes, we will happily steam your lobsters for you, at a small additional charge (for orders of a typical quantity). In store, last call for hot pick-up is 5:00 PM. We can also half-cook your lobsters, which will cut down your cooking time and allow you to serve them hot. The most common preparation is to simply steam the lobsters. You’ll find instructions here in our recipe section. At the very least, you’ll need some heavy-duty nutcrackers. We also use specialized tools to get at the meat once the shell is open. We also recommend keeping a mug of broth nearby so you can give the meat a quick rinse before you dunk it in butter or vinegar. You’ll find everything you need in our shop. That is the tomalley, or liver of the lobster, and it’s delicious. If you are not a connoisseur of tomalley, simply rinse it off. You have a female lobster that is starting to form eggs (or roe). They are edible and, like the tomalley, are considered a delicacy. 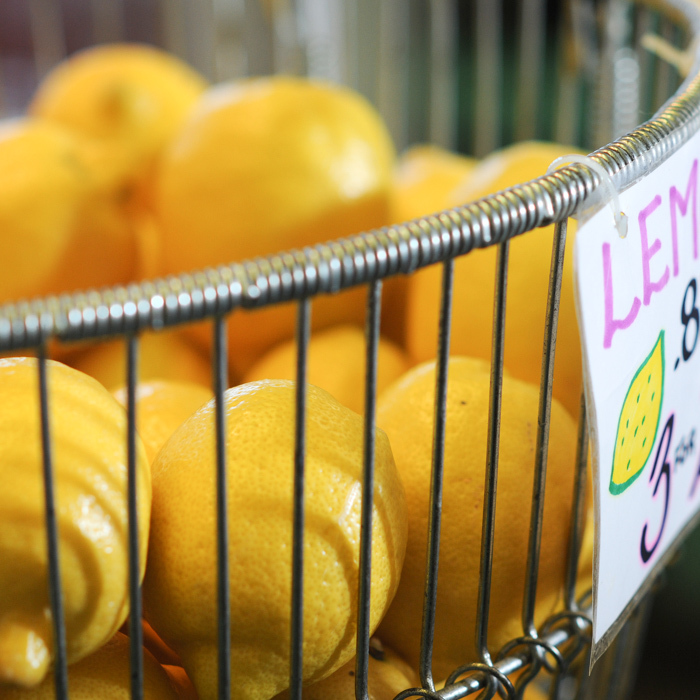 If you are not interested in eating them, you can remove them with your fork or simply rinse them away. Is the fish I’m buying at HFM fresh? How much fish do I need? Will there be bones in my fish? Does lemon sole taste like lemon? What’s a good fish for a chowder? Is there a whitefish that is great for grilling? What is the difference between steaks and fillets? Can I freeze my fish? What does F.R. stand for? I am never certain how to cook my fish, do you have any suggestions? When we say it is fresh we mean it, and if it has been frozen we will always identify it as such. We’ve worked hard to gain the trust of our customers, and we’ll never take advantage of it. Of course, the answer to this depends on the person eating, but we typically recommend about an 8-ounce portion per person. This depends on the fish you are buying. It’s always a good idea to check any fillet for bones, even ours. We do inspect each fillet thoroughly, but we are only human. Some fillets are cut so that bones are included. The nape and first 3 to 4 inches on most fillets is where you will find bones. Some fish do have pin bones that run down the center of the fillet, and these can be easily removed with tweezers. 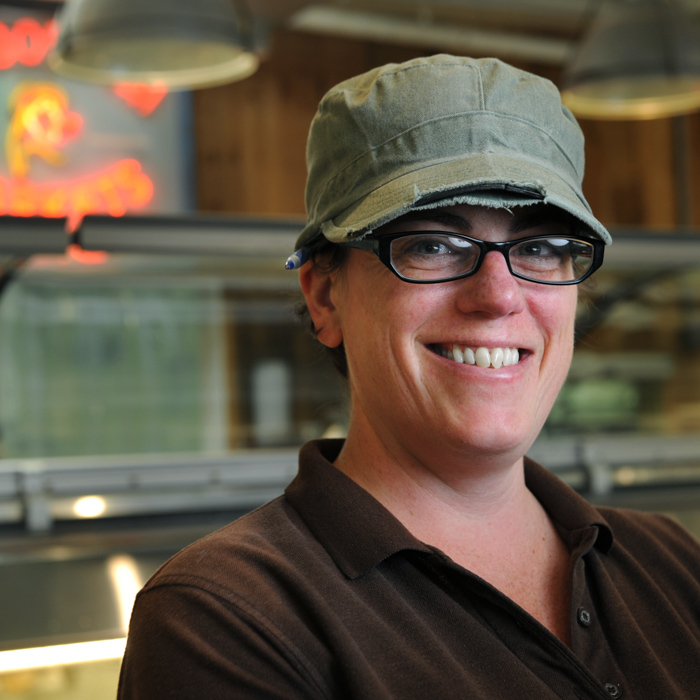 PBO is a term that means “pin bones out,” commonly used when talking about salmon fillets. If you catch a fish yourself and fillet it you will find a pair of tweezers useful at getting these bones out without destroying the fillet. Scrod is a word that has had many meanings. 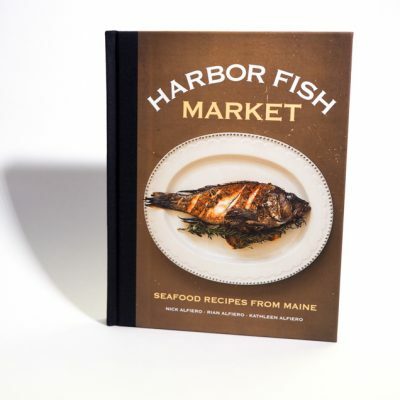 At Harbor Fish, it simply refers to a smaller fish, usually only used in reference to haddock or cod. No, it’s simply a name for a particular species of flatfish (Microstomus kitt), like Grey Sole or Dover Sole. In fact, it’s a misnomer, as Lemon Sole is technically not a sole! It’s similiar enough to sole, however, that the name is there to stay. Many fish make an excellent chowder but if you are looking for a fish that doesn’t fall apart and has that mild sweet white fish flavor you should probably try Cusk. Cusk meat has a simliar consistency to a lobster tail, but with a flavor more like haddock or cod. Is there a whitefish that’s great for grilling? Yes! Hake is a very good candidate, cusk is another, as are halibut steaks or fillets. There are others, but these species are often more available. Steaks are made when we cut a whole fish horizontally, creating sections along the fish, bones and all. A fillet is made when we cut the fish from the head to the tail and remove the meat in one long piece. Yes, indeed. All of our fish is fresh, all natural, with no chemicals added, unless specified. If you order a previously frozen product from us, we wouldn’t recommend freezing it again.More storage information. What does “FR” stand for? “FR” indicates a fish that was farm-raised, please see our TKTKTK Product Origination information sheet in the recipe section of our web site for further information on farmed-raised fish. Yes we do, we regularly post excellent recipes here on our web site, which will get added to as we grow the site, but for good basic information see ourcooking tips for fish and seafood. You can also purchase our LINK TKcookbook on our online store.. Hazard Analysis Critical Control Point is the FDA’s system for preventative food safety, which we follow carefully. For more from the FDA: Here you can define the content that will be placed within the current tab. What time will my shipment arrive? Can I get my lobsters delivered on a Saturday? What if I can’t be there to sign for my package? Who has to be there to sign for the package? How soon should I place my order? Do my Lobsters arrive alive? How do I pay for my lobster shipment? How are my lobsters packaged? What if my package doesn’t arrive in time? What information will you need from me to place an order? 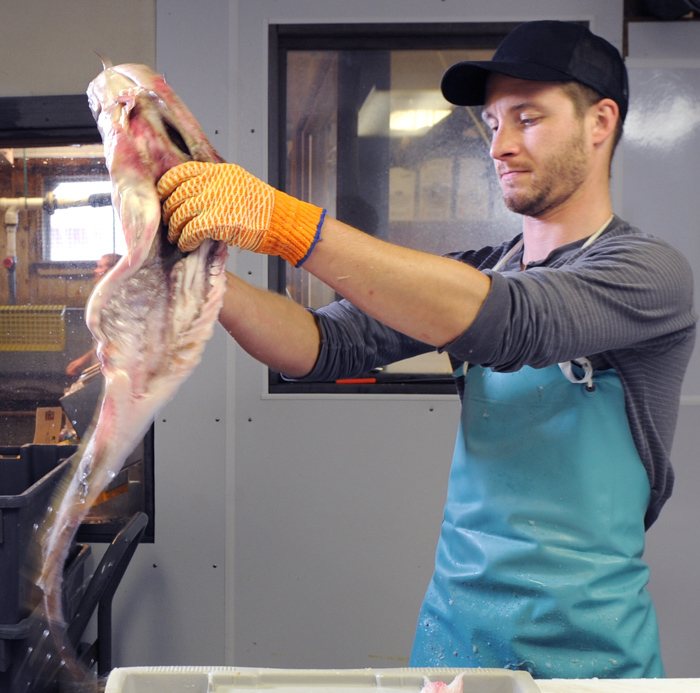 We ship our fresh seafood using FedEx Priority Overnight service. Most deliveries take place between 8:30 AM & Noon, though in some more remote areas it could be as late as 4:30 PM. You’ll receive tracking information when your order ships. Saturday delivery is available for most customers but not all (typically it’s not available in more remote areas. Please check your address with FedEx to find out if Saturday delivery is available for you). Please note that FedEx places a surcharge on Saturday delivery. If you don’t live in an area that is in a Saturday zone you might be able to go to your nearby FedEx station and pick them up. By default, we require a signature on all fresh seafood deliveries. If you would like us to release the FedEx signature requirement for your order, please call us at +1 (207) 775-0251 x 2 to make arrangements. Obviously, having a package left outside your door opens you up to the risk of theft. Also, even with our careful, insulated packaging, we never recommend leaving a package of fresh seafood exposed to the elements. If you release signature, you have no recourse with Harbor Fish Market or FedEx in the case of loss. Anyone answering the door at the delivery address can sign for the delivery as long as they are 18 years of age or older. Order cancellations must be made at least 24 hours before the shipping date. Please contact the shipping department at +1 (207) 775-0251 x 2. We encourage advanced ordering. You can choose a specific delivery date during the order checkout process in our online shop. This allows us to plan our supply and staffing, which is important in the seafood industry, where so much changes from day to day. If you wish to place an order for a date further out than allowed by our online system, please feel free to call us at +1 (207) 775-0251 x 2. We cannot guarantee the life span of a lobster. However, our hearty hard shell lobsters tend to live an average of 24 to 36 hours out of water, and we always pack lively lobsters for shipment (we want you to have a nice dinner, too!). In the rare case a hard shell lobster dies while in transit, you can still cook and eat it within 12 hours of death, as long as it has been kept refrigerated (Lobsters are kept sufficiently cold in our insulated packaging under normal conditions). We enclose a shipment instruction sheet that will give you more information on how to determine if a lobster has spoiled. It is very rare that a lobster we ship you is not edible. We accept Visa, MasterCard, American Express and Discover. You can also use a Harbor Fish Market Gift Card. Your lobsters are packed in expanded polystyrene foam coolers (which don’t contain any ozone-depleting CFC’s), with a corrugated printed box around it. We use gel ice unit(s) and seaweed to maintain temperature and moisture. Please note that during certain periods in the spring, seaweed is spawning and may not be suitable for use. Also, during winter storms, it may become too hazardous to harvest the seaweed. We make every effort to contact you ahead of time and reschedule your shipment if we are able to anticipate weather events that will affect your order. Despite our best efforts, sometimes packages don’t arrive as ordered, due to unforeseen circumstances. If the package doesn’t make it to you on time due to an act of God (the most common one being weather), we cannot refund your purchase, nor is there any insurance recourse with FedEx. The shipping of perishables is at the risk of the purchaser. If your package doesn’t arrive due to human error, you would then receive a full refund from Federal Express. In that case, we will place all the necessary paperwork for you and credit your account in full upon receiving reimbursement from Federal Express. Federal Express has the last word in determining the outcome of any claim. We will ask you for the recipient’s name, complete street address (no PO boxes), zip code, phone number, your payment information, and product request. It is never a good idea to surprise someone with a gift of live lobsters, as they do need to be cooked the day they are received. We find a gift card works best in this situation allowing your recipient to be surprised by your thoughtfulness but also have the chance to plan their mouthwatering feast. Additionally, your information is never sold to or used by any other company or group, and your payment information is not stored with us, so even our employees don’t have access to your credit card information. How do you prepare the Maine steamer clam? How long can I keep my seafood before eating it? What does this type of oyster taste like? How do you shuck an oyster? What is meant by “dry,” or “all natural” scallops? Unfortunately, you will never get all the sand out of the Clam. The best way we have found is to place them in your sink, take the spray hose to the outside of the shell using cold water. After you have washed the outside as best you can, fill the sink up with enough cold water to completely cover the clams. Depending on how many steamer you have add a good dose of white vinegar (or red) and occasionally gently swish them around. Let them sit in the sink for about a half hour. This will make them spit up anything in there intestinal track. Drain and spray rinse one more time. Then after cooking them, make sure you serve broth to vigorously dunk them up and down in, to wash off any grit that still may remain. Most seafood—if stored in proper conditions—can be held for a couple of days, depending upon the harvest date. This is where it helps to have a good relationship with your seafood dealer, to be sure of the freshness of your fish! There are several factors that go into the storing of each type of seafood. In general, the best way to keep most seafood is buried in ice with the melt water drained off. If we’re trying to keep fish fresh at home, we typically put the plastic-wrapped (watertight) package in a bowl of ice in the fridge. If we are trying to keep shellfish (such as mussels, clams, oysters, or hard-shell clams) we’ll ring out a wet towel and place it over a bowl containing the shellfish, and put the bowl either in the fridge or packed into a cooler, sitting on a bed of ice. The most important factor is a cold temperature, but it’s also important not to allow the shellfish to sit in fresh water. It also seems to help to allow a bit of airflow around the shellfish, so don’t pack mussels or clams, etc. in airtight plastic. First and most important buy an oyster shucking knife. We have heard of more people using every utensil known, other then the knife designed for the job. Not that using an oyster Knife will keep you from getting injured, its just that it will do a better job then most other instruments, as it was designed with an oyster shell in mind. Step 1: In the hand that is holding the oyster, drape a towel or put on an oven mitt. Hold the oyster firmly in that hand, the knife in the other. Slip the knife blade between the top and bottom shell right by the hinge on the back. Be aware that the ridges on the shell are very sharp and can cause harm as well. Step 2: Run the knife all the way around the oyster until you get to the other side. This is where you need to put some muscle into it, but be careful – this is the point where most injuries occur. Step 3: Using a twisting motion, pry the top and bottom shells apart. Be gentle but have a firm grip so you won’t lose any of the liquor inside. Because scallops act like a sponge, many processors soak their scallops in water, adding water weight, increasing the size and flattening the taste. Additionally, those processors typically use a solution containing Sodium Tripolyphosphate (STP), which acts as a water retentive agent. Do you want to pay $8.00 to $12.00 a pound for water? Do you want your fresh seafood to have a chemical added to it? Harbor Fish Market sells you true, all natural, unadulterated scallops which are better flavored and do not shed abnormal amounts of water when you cook them. Of coarse the natural scallop is more expensive, but you are not purchasing water! When you buy scallops in a market or order them in a restaurant, ask if they are processed or soaked.